Which Hotspot Gateway do I need? Customer demands of public WiFi systems have changed immensely over the last few years. We have not been idle in keeping watch in the market which has meant we are sourcing great products allowing you to delight your user’s experience of WiFi in your premises. Check your requirements on our bandwidth calculator and find the right hotspot for you. Guest Internet Solutions Hotspots have been updated extensively in recent years. Whereas older systems could only handle WAN speeds of 6Mbits, the current ‘grey’ models can handle 60Mbits. Pages also load a lot faster due to a 3-5x increase in CPU speed. Whilst many of the products have the same name and similar features, of earlier models, they have a much faster chip inside. 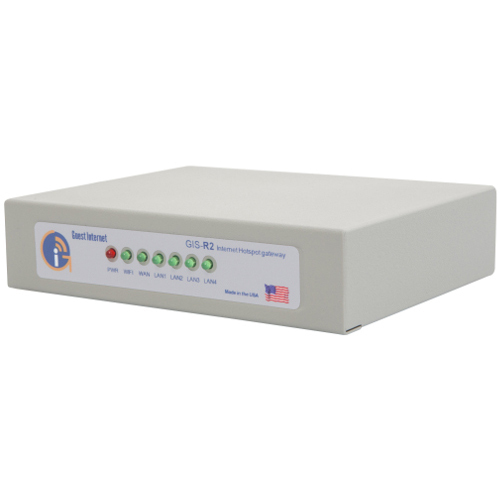 Whether you are looking for a new solution or to upgrade your existing system the new Gust Internet Solutions hotspot gateway range will improve the speed and quality of the WiFi service at your site and in some cases even stop any legacy GIS gateways from being a bottleneck if your ISP has increased the speed at your site.